When NVIDIA first announced their Turing based GeForce RTX 20 series, they unveiled three GeForce RTX models: the 2080 Ti, 2080, and 2070. As we’ve seen earlier, Turing and the GeForce RTX 20 series as a whole are designed on a hardware and software level to enable realtime raytracing for games, as well as other new specialized features, though all of these are yet to launch in games. Nevertheless, last month’s release of the GeForce RTX 2080 Ti and 2080 finally revealed their places on the traditional performance spectrum. As the ‘value’ oriented enthusiast offering, the RTX 2070 is arguably the more important card for most prospective buyers. And so, ahead of tomorrow’s launch, today we take a look at the GeForce RTX 2070 Founders Edition. 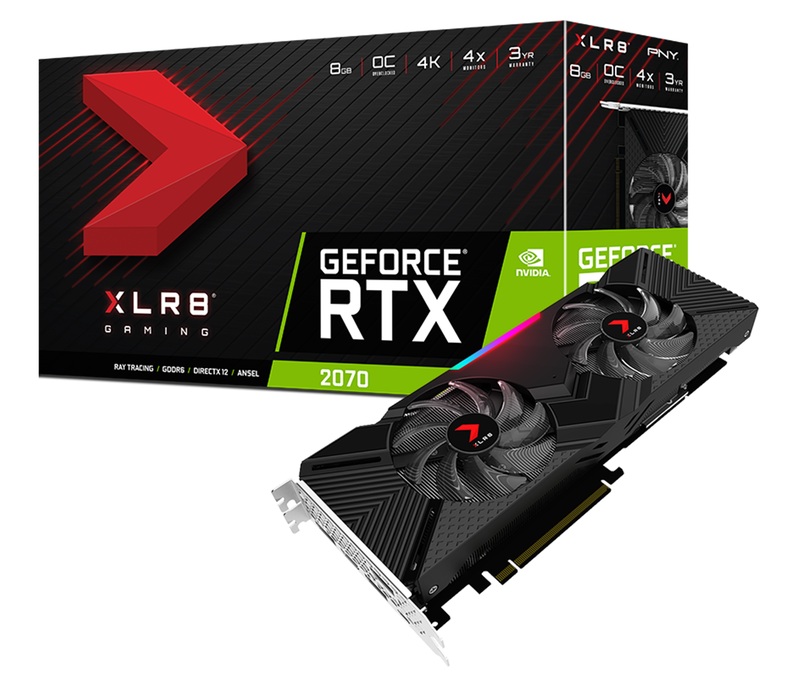 Even as the value option, which is historically the case for the x70 part, the RTX 2070 Founders Edition comes in at $599, with standard MSRP at $499. For all intents and purposes, the lower $499 price won’t be seen in the near-future as AIBs will be aligned with NVIDIA to avoid cannibalization and lower ASPs. Either way, the $500 mark makes it clear that ‘value’ and ‘cheap’ don’t necessarily mean the same thing. For the RTX 2070, its value would be measured by both traditional rasterization performance, and hybrid rendering performance. For the former, the GeForce GTX 1080 sits at the $500 price point, so that is very much the card to beat, with the AMD Radeon Vega 64 and GeForce GTX 1070 Ti also offering similar levels of performance. Beating the GTX 1080 by a significant margin will in turn offer more to those still on older generation cards like the GTX 970 & 980. But trading blows with the GTX 1080 would leave the RTX 2070 in a situation where it is priced higher with less availability for equivalent traditional performance. As an aside, HDR presents a wrinkle where the RTX 20 series incurs less of a performance hit, but the difference varies per game and only a selection of games support HDR in the first place. Unfortunately, accurate hybrid rendering performance remains somewhat of a mystery. Games have yet to bring support for RTX platform features, and additionally DXR itself is only just starting to rollout as part of Windows 10 October 2018 Update (1809), itself delayed due to data-loss issues. RTX platform features like realtime ray tracing and DLSS come at a steep cost; currently, the RTX 2080 Ti stands at $1200 and the RTX 2080 at $800, and now with the $0 RTX 2070 as the entry card for those features. So for gamers interested in using realtime ray tracing, it's still unclear what we should expect as far as real-world hybrid rendering performance is concerned; in any case, the RTX 2070 does not support SLI, which precludes a future mGPU drop-in upgrade. That is to say, if the RTX 2070’s real time ray tracing performance target for resolution/framerate is significantly lower than the RTX 2080 Ti or 2080, there won’t be an easy solution in the form of doubling up 2070s. In any case, the RTX 2070 is built on its own GPU, TU106, rather than being a cut-down version of TU104, and by the numbers offers 75% of the RTX 2080’s shading/texturing/tensor resources with the same ROP count and 256-bit memory bus. Considering the SM-heavy nature of ray tracing workloads, it would be interesting to investigate once real time ray tracing and DXR is fully released to the public in production-ready in games. But as a straight upgrade, the RTX 2070 is in a delicate situation. What we know already is where the RTX 2080 Ti and RTX 2080 lie in terms of conventional gaming performance; the RTX 2080 Ti is roundabouts the Titan V, while the RTX 2080 is comparable to the Titan Xp and GTX 1080 Ti. As the top two performing cards of the stack, there’s some natural leeway with premiums, but the RTX 2070 does not have that luxury as the x70 part, and will be right in the mix of Pascal with the GTX 1080 and GTX 1070 Ti in the $450 to $0 range, along with GTX 1080 Ti models at the $700 mark. The GTX 1080s priced at $490 could act as a significant spoiler if there are issues with launch inventory, which has already caused delays in the RTX 2080 Ti. Beyond that, the biggest open questions are all about the RTX platform features like realtime ray tracing and DLSS. Gamers considering making the plunge will be looking at the RTX 2070 as the entry point, but right now there is no accurate and generalizable way to determine what that entry level performance would look like in the real world.